A shot from the video that Serena Schermoly sent out. 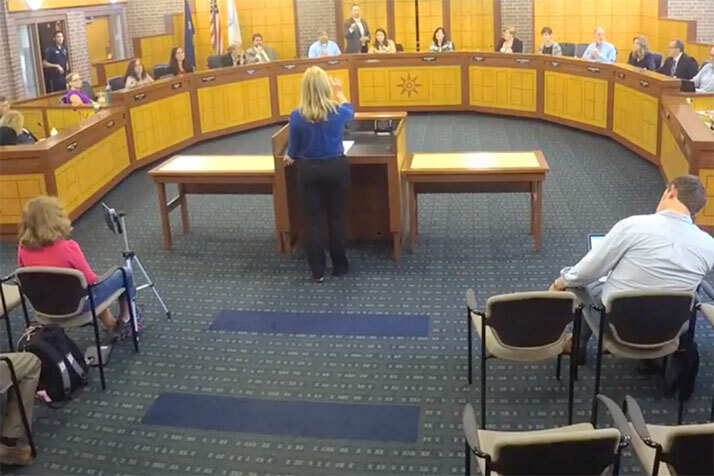 One Prairie Village councilmember has been live streaming city council meetings and making video available later for the public to watch. 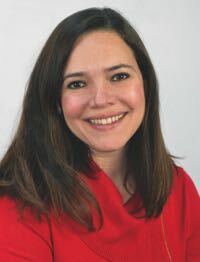 Serena Schermoly said when she ran for office this year she made a promise to Ward 2 residents that she would keep them informed. Many of the residents were not familiar with the committee of the whole process, she said, where much of the discussion about an issue takes place. For the first couple of meetings, Schermoly paid someone to to the video. Since then, she has bought a camera for nearly $500 and has been doing the recordings with family and friends pitching in to man it. Schermoly would much prefer the city take over the responsibility for video, but she plans to keep doing it until that day comes. The technology is now inexpensive and it would allow city residents to watch government in action, she said. Mission provides video of its meeting, as does the Shawnee Mission School Board. Roeland Park provides audio the next day. Education, engagement and transparency, Schermoly said, sum up her philosophy about citizen access. “It is difficult for people who want to be involved to sit through an entire council meeting.” She said there are cases where residents saw the livestream and jumped in the car to attend a meeting. Watching it later gives a chance for deeper understanding of the process and discussions. “I am committed to providing this access until it is approved by the governing body,” she said. Schermoly is planning to extend the video to planning commission and other public meetings in the future.